Saoirse Ronan attends Scotland's Premiere of Mary Queen of Scots on January 14, 2019 in Edinburgh, Scotland. 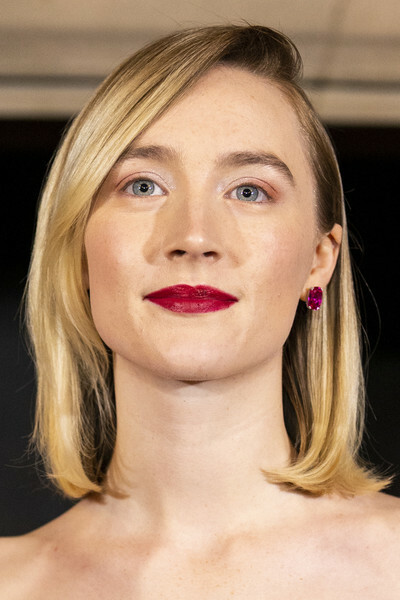 Saoirse Ronan rocked a bold red lip. Saoirse Ronan glammed up her lobes with a pair of gemstone studs by Anabela Chan.